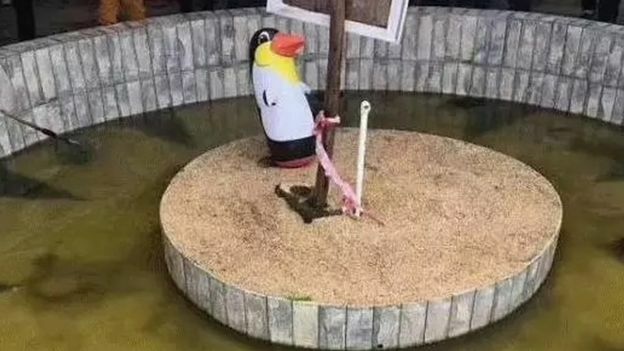 Visitors expecting an array of exotic animals at a zoo in southern China were left disappointed when they were confronted with inflatable penguins. As the first zoo to be set up in Yulin, Guangxi province, locals were keen to see what Guishan Zoo had to offer. It had been advertised as a place to see rare animals and learn about wildlife. Beside the plastic blow-up penguins, attractions included a handful of roosters, geese and a tortoise in a tank with a sprinkling of money around it. 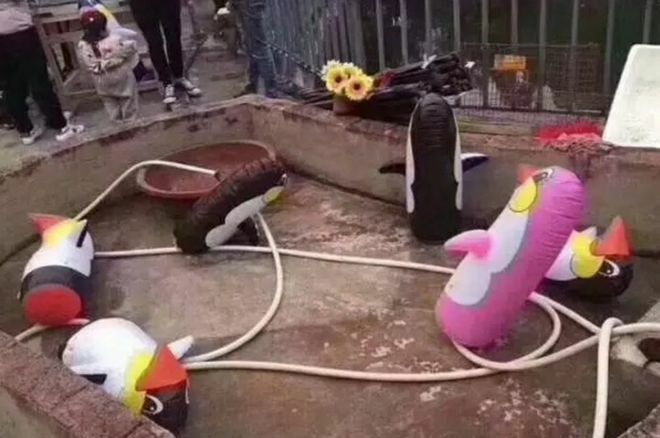 As the details of the rather disappointing 'rare animals' spread across Chinese social media, local news sites shared photos from inside the zoo. Users on the Chinese microblogging network Sina Weibo soon picked up on the story and shared their views. One user claimed the zoo was "a big insult to our IQ." Another found it quite funny but disrespectful, saying: "I can't stop laughing. This is obviously deceiving the consumer. Don't tell me the management were sleeping. This is making fun of our intelligence." 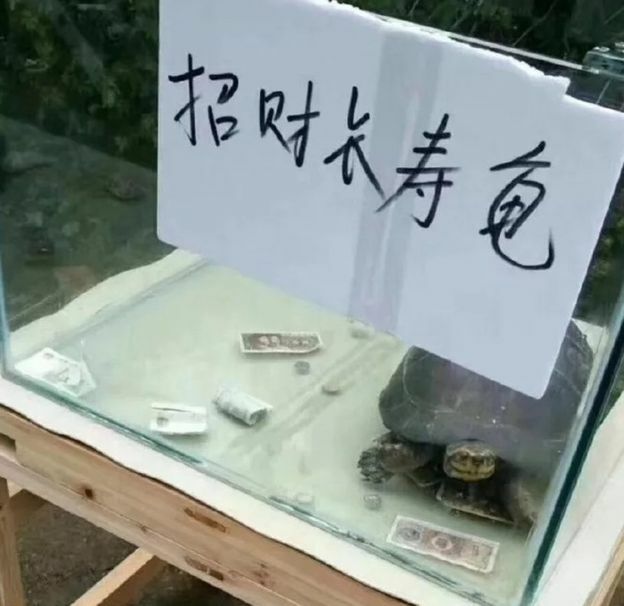 The zoo is not the first in China to court controversy. In 2013, a zoo in Henan claimed to feature an African lion which turned out to be a Tibetan mastiff dog. Three years later, Jinhua Zoo, in central China, became the focus of social media posts when it was thought it had set up an online poll to name its new baby gorilla. However, it turned out to be a massive hoax, despite many liking the suggestion of Harambe McHarambeface. China does not have the best animal rights record, with several stories circulating about mistreated animals in zoos, parks and markets. In June 2017, video clips and photos of angry zoo investors feeding a live donkey to tigers at a zoo in Changzhou city, went viral on Chinese social media. However, this year has also seen a video of a Chinese policeman's retirement home for dogs viewed millions of times.